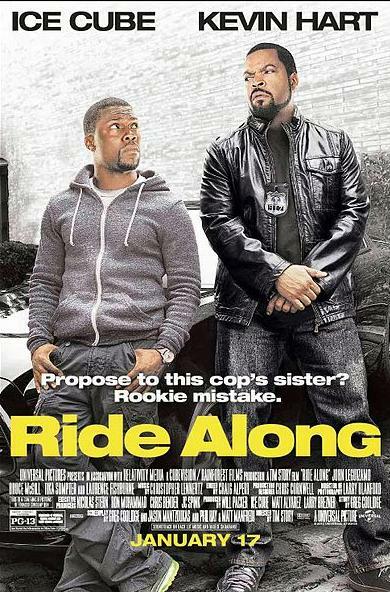 "Ride Along" stars comedian Kevin Hart and rapper Ice Cube in a funny comedy. The movie is about a cop, James, played by Ice Cuba, who takes his sister's fiancé, Ben, played by Hart, along for the day as he does his duties as a police officer. His new hapless ride along buddy manages to get into funny situations that prove to be pure trouble. Ben's bumbling behavior becomes a liability as James searches for a dangerous criminal named Omar. "Ride Along" was a funny movie. Not as funny as the trailer, but nonetheless, it was funny.